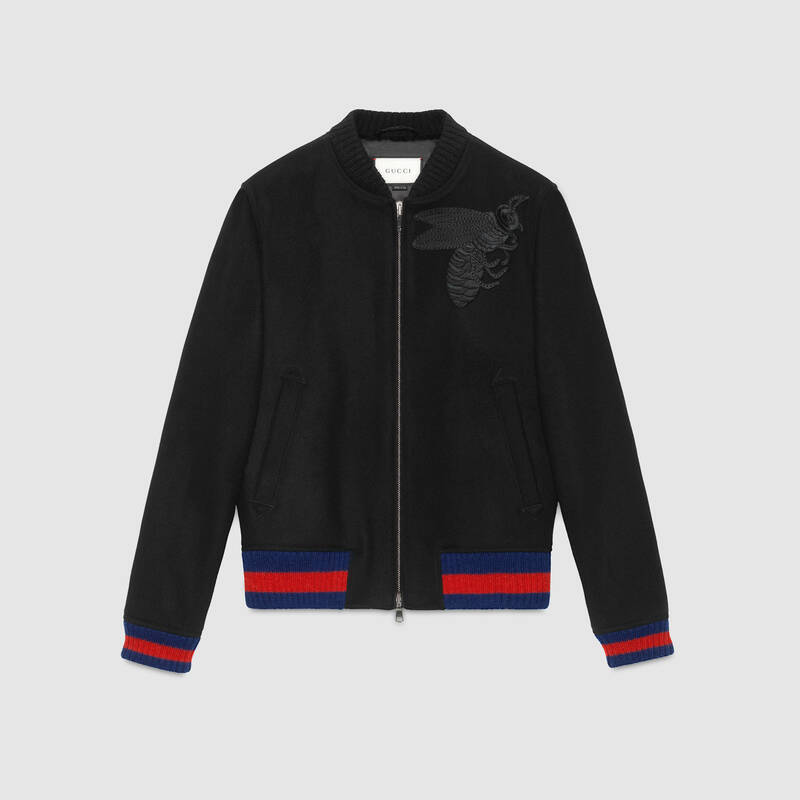 James Harden's Gucci Bee Embroidered Wool Bomber Mens Fashion Jacket. James Harden’s Gucci Bee Embroidered Wool Bomber Mens Fashion Jacket. NBA star James Harden arrived in STYLE for last night’s matchup vs. Russell Westbrook and the Oklahoma City Thunder. Harden walked in with confidence wearing a $1,890 Gucci bee embroidered wool bomber Jacket. Are you a fan of this mens fashion piece?